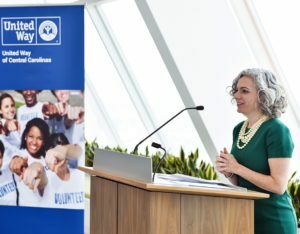 We are welcoming a familiar face to United Way’s top seat as Laura Clark becomes the sixth leader in our organization’s 86-year history. 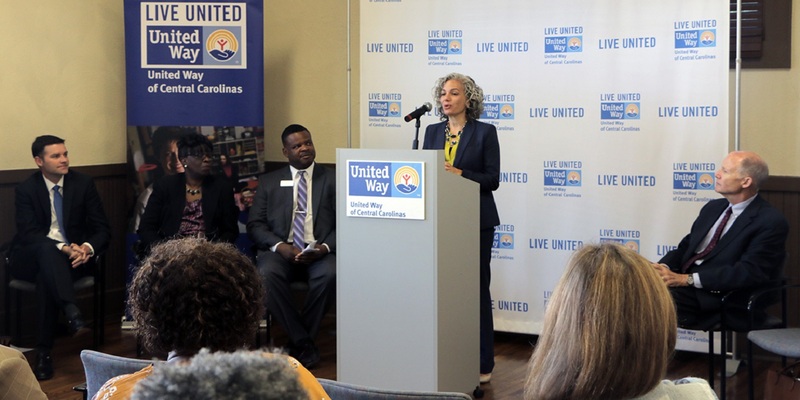 Laura joined the United Way team in 2016 and has led a transformation of the organization’s community impact strategy to more directly address the economic mobility challenges across the Charlotte region, including the launch of two major initiatives – United Neighborhoods and Unite Charlotte. We sat down with our new president and chief executive officer recently to learn more about her passion for our community, along with a few of her favorite things. Favorite music genre. Indie folk. What she wanted to be as a kid. A teacher. Favorite family tradition. Watching “Christmas Vacation” with family on Christmas Eve. Her first choice at the movie theater concession stand. Popcorn. If you’re interested in having Laura or a member of our team speak at an organization or event, please email info@uwcentralcarolinas.org.